Ugh it's been another brief period of radio silence. There have been a few obligations at this time that have been consuming a lot of my time that are winding down on one end and gearing up on the other. In any case it's that time once again when MoYou London does their weekly release of plates. 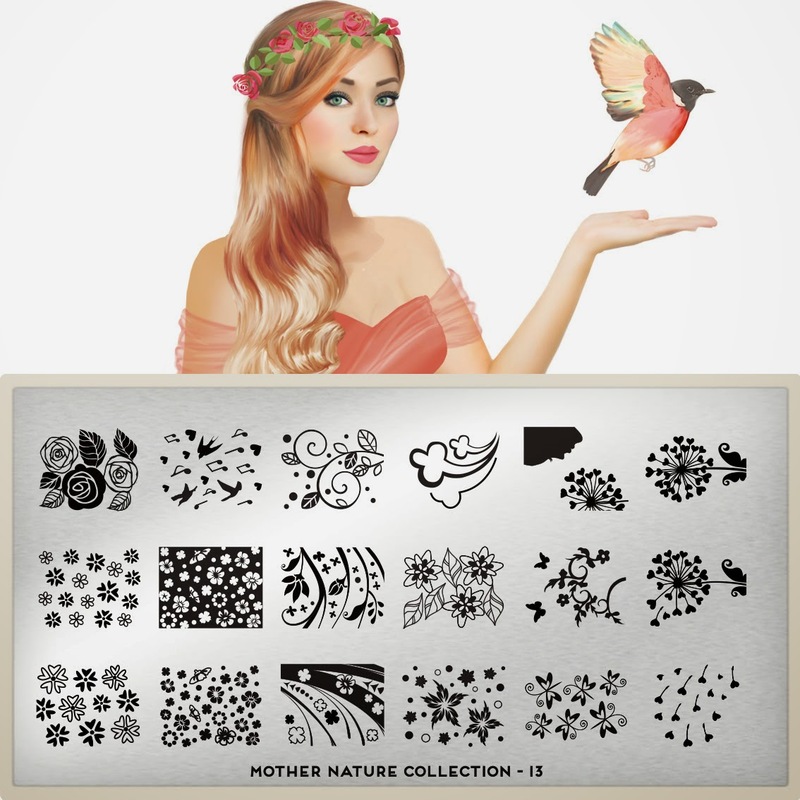 This week the plates are from another collection that I really love - the Mother Nature Collection! Shall we see what they have come up with this time? I truly have to admit of love how the Nature Collection plates always seem like this epic to do! The landscape plates always make my heart go doki doki. 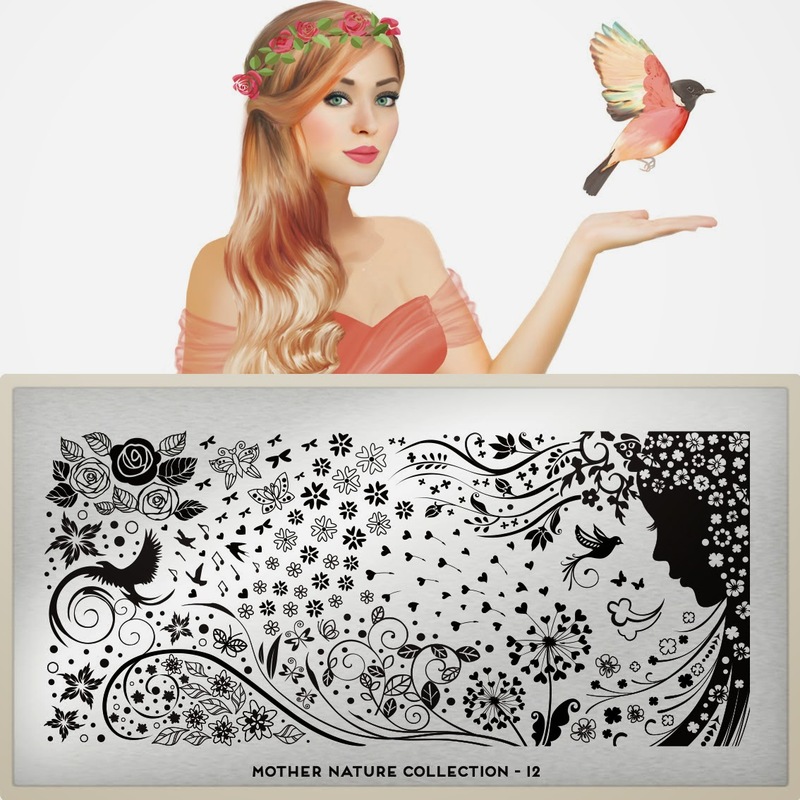 I don't know if you ladies have been following the trends with stamping plates, but over the last year a lot of plates have come out with leaves and flowers particularly dandelions blowing in the wind featuring ladies in silhouette. I've seen these images first on the Sugar Bubbles plates and then again on Vivid Lacquer plates. MoYou's interpretation is also delightful! This plate is beautiful, but in isolation the images aren't very unique. What I mean by that is that there are similar plates with cherry blossom-esque flowers and branches and the swirls and birds as well remind me a few plates from a the Dashica Infinity series. That said I love how they have incorporated rabbits, foxes and other animals into the design. And here's that silhoutte I was talking about. I love this plate to death though the phoenix and the flowers remind me a bit of images from the lasted Pueen Encore set. The best part of this release is that the woman is shilloute is also made in a smaller version that will fit better on the nails. What do you ladies think? Despite all my comparisons I really adore this release! 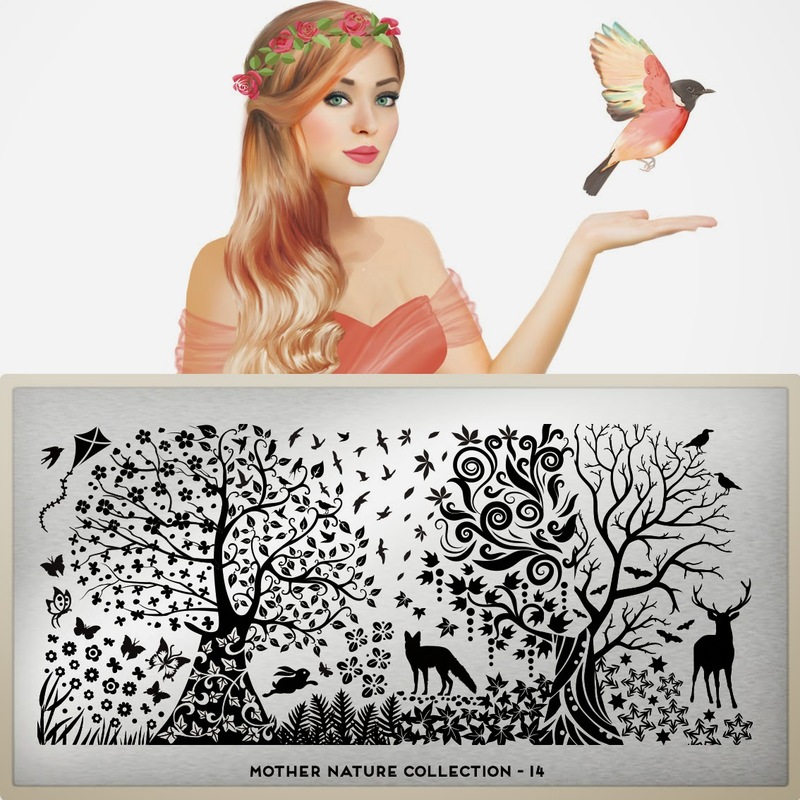 As I said the Mother Nature Collection is definitely one of my favorites so of course I will be scooping these up in the future. These plates will release Friday morning on the MoYou London website. Plates retail for 4.99 GBP and right now shipping to the US is free! If you haven't already add my discount code "Tamira10" for an additional 10% your purchase. Happy hunting ladies and see you next post! my heart is racing, faster and faster as I keep staring at them they are so so beautiful. I ordered my Pueen Encore set and it shipped today yeeeiiii (doing silent happy dance) and I will wait to compare them because as you mentioned there are some similarities. That being said I'm itching to get some MoYou. I already put the money aside and the 1st things I'm doing as soon as I land back in England is ordering plates and an Indian take away. 1.5 months to go!! !